magicJack for BUSINESS offers a convenient, reliable phone service for all working situations, no matter how big or small your team is. 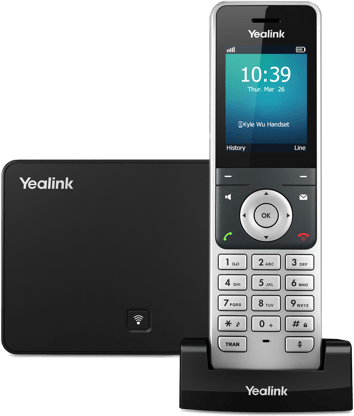 Limited time offer: Get a FREE Yealink T21 (MSRP $75) desk phone with each line you purchase. 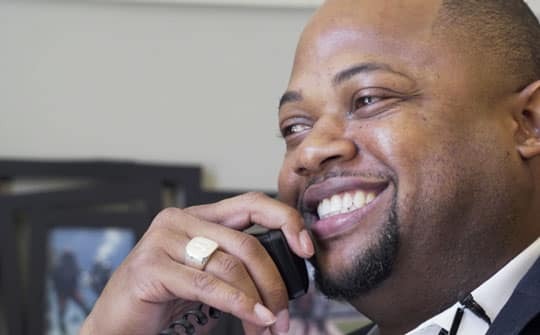 mJB is proud to charge up to 75% less than competitors to provide small business' phone service. Crystal clear call quality using magicJack's VoIP technology and 99.99% uptime guarantee, so your small business doesn't get interrupted. Your business can seem like a big player with mJB features like auto attendant, a conference line, call forwarding, virtual fax & more. Fast & friendly tech support is available over the phone to answer all your questions to help you get the most out of your mJB service and features. Now do more, without a desk. Don’t let cords slow you down, get the new Yealink W56P cordless DECT phone. Have the freedom to move around while still accessing the features that make your communication great. Take calls on the go. 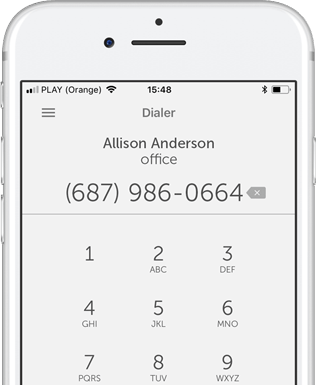 Take your business calls and all our great features on the go - running your business anywhere, anytime† with the new magicJack for BUSINESS mobile app. Available on iOS and Android. You work hard. This is easy. But don’t just take our word for it. Hear what some of our customers are saying and see how magicJack for BUSINESS worked for them. magicJack for BUSINESS makes our business three people instead of two. Premium features are like an extra set of hands. It’s the best value in business phone service with all the professional features we need at an unbeatable price. I looked at other solutions, and they seemed more complicated. Not as nimble as magicjack for BUSINESS. And definitely not as cost-effective. My Marketing Assistant takes her phone home, I took mine on vacation overseas – it’s seamless. Call forwarding, call waiting, and music on hold make my tax business sound professional. 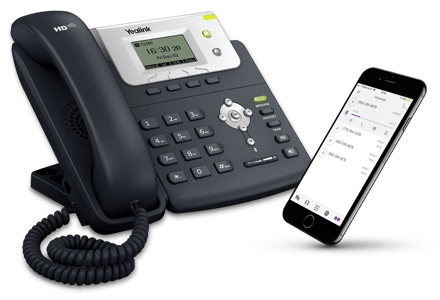 magicJack for BUSINESS makes phone and virtual fax communication affordable for my print and marketing company and my recording studio. I was worried the sound quality wasn’t going to be good, well - IT’S GREAT! We are a growing company and sometimes it’s hard to have the essentials needed for great production. magicJack for BUSINESS makes it easy! magicJack for BUSINESS provides excellent quality and cuts our bill in more than half of what a landline would cost. We have 23 lines and all of my real estate agents are satisfied. Each agent has their own direct line which they use constantly to communicate with clients. If our agents are happy with the technology that our office provides, then we will continue to prosper.